Stunning card Sylvie, a beautiful and elegant design and I love the delicate colour. What a very stylish and elegant card, really stunning. 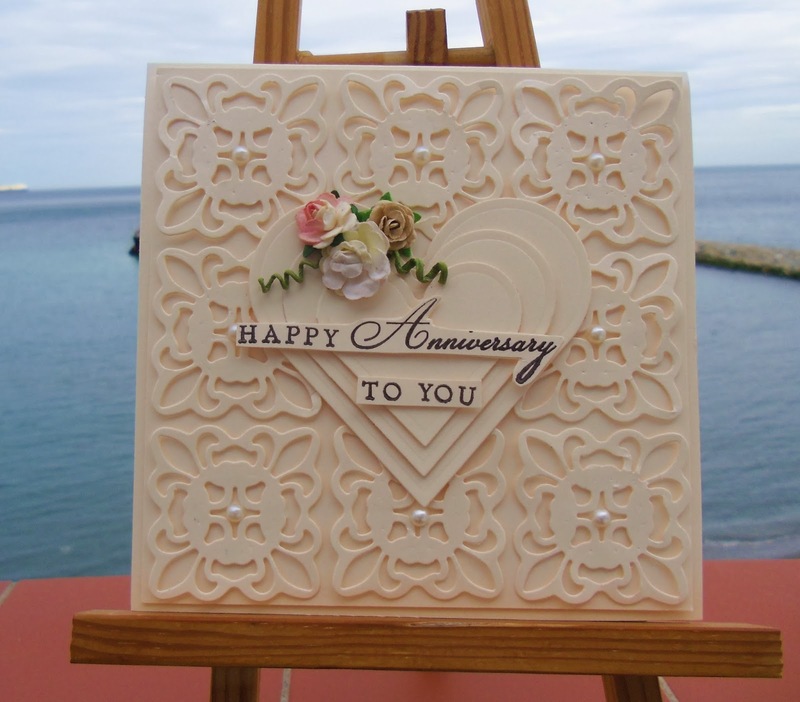 This is a beautiful and elegant card...love the intricate layers! Thank you so much for following my blog...I really appreciate it, you made my day! How lacy and lovely! Good luck! Absolutely gorgeous card Sylvie, definitely warrants a frame! Absolutely beautiful. This is so elegant, I love it! Stunning card Sylvie, so elegant and pretty. Oh, Sylvie, I'm drooling here! LOVE this! I have to pin it. What a great way to use those die cuts. I've got that one, I think. Love how it turned out. And I love The Script, too! I am guessing you will be going to the music festival so you don't miss them! Thank you SO much for visiting my blog recently. It's good to see you!